Make the publications more flexible and run it on more devices like iPad, iPhones and Android/Window Phone devices. A lot of platforms are now supported by FlippingBook Publisher. Enjoy a real turn page effect and mobility on-the-go and share it with the rest of the mobile world. Only a browser is required in a mobile device to get it work. It can be a very convenient way to tune everybody on your new publications. You are not limited to the creation of online publications only. If you need to distribute your publications using CD/DVD or Flash-drives, you can create EXE files for Windows or APP files for Mac OS X. Create the friendly books for Google, Bing, Yahoo and other search engines. Search Engine Optimization option of FlippingBook Publisher allows generating of search engine friendly content. Optimize the book relevance in web and everyone can find the publication through the internet. Using SEO feature you can unsure a high-level attendance to your publication after upload. Extend the power of Google Analytics within the publications, analyze, monitor the traffic of the publications in a new way, improve the ads and get more detailed information for building of the steady plans. The code of Google Analytics can be embedded to each book and all statistics will be available from your Google Analytics account live. 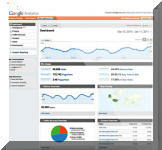 Create, design, control and increase your marketing effectiveness using Google Analytics within the publications. 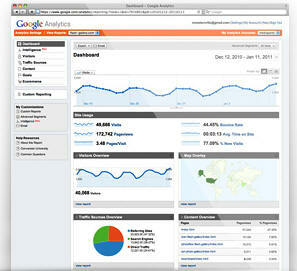 Google Analytics lets you measure your advertising ROI as well as track everything within the publications. The high-quality vector SWF-pages, created using Publisher, activate the multi-level zoom function by double-clicking. The zoom works quicker and the new tool is more convenient, compared to the previous version. Users can zoom the desired part of the publication and scroll the page using the mouse wheel. 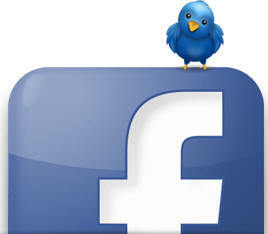 The publications created in Publisher provide the proper means of integration with modern social networks. The publication’s users can upload links to pages in Facebook and Twitter, copy and send links via e-mail, and even embed your publication (a smaller version) into their own sites. This feature makes the publication more useful and attractive for the end-users and allows them to use a structured view using the original PDF’s bookmarks or contents. Any page of the book can be reached in a moment. Table of Contents can be easily enabled from the Bottom Bar or you can force it to be shown by default from the settings. The Table of Contents can be created automatically from your PDF’s bookmarks or contents. The alphanumeric data extracted from a PDF file are used to enable full-text search in your publication. The unique indexing methods and search algorithms enable quick and easy online searching, even through very large publications, without any server scripts or databases.